Book your business domain name or anyone else will! 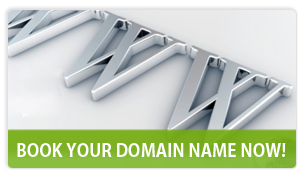 Spell your domain name to suit your sort! As and when you decide in favour of establishing an online business, the first step towards it is the registration of your domain name. The domain you choose becomes the name of your online entity and supposedly speaks about your business to the visitors; just like your name gives an idea about you. Your convenience is utmost important to us and your interests are most empathetically identified at our end. Our services reflect our ideology and philosophy and accordingly we make sure zero downtime during domain name registration, domain name renewal or domain transfer.